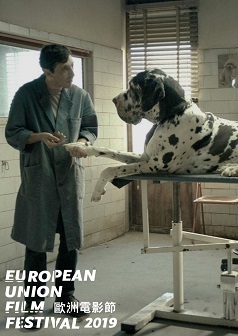 Dubbed an “urban Western” Dogman takes place in an Italian suburb somewhere between metropolis and wild nature. Marcello, a small and gentle dog groomer, finds himself involved in a dangerous relationship of subjugation with Simone, a former boxer who terrorizes the entire neighborhood. In an effort to reaffirm his dignity, Marcello will commit an unexpected act of vengeance.